HIDDEN VALLEY RESORT | 814-443-8000 | ONE CRAIGHEAD DRIVE | P.O. BOX 4420 | HIDDEN VALLEY, PA 15502 2018 . The following is the procedure that ALL adaptive skiers, instructors and volunteers MUST follow to register for TRAS Ski Outings. Advanced reservations are required. So that we can appropriately plan the amount and type of equipment, volunteers and instructors needed for everyone to have the most positive ski experience possible. Advanced reservations are required no later than 12:00 PM on the Tuesday before the weekend ski program (See TRAS Ski Schedule). 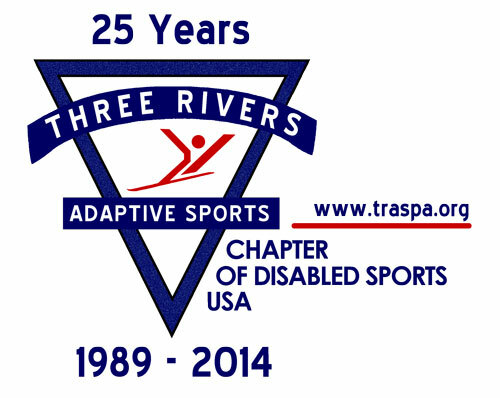 The Three Rivers Adaptive Sports (TRAS) Chapter of Disabled Sports, USA (DS/USA) is busy planning for our 28th year of providing Adaptive Alpine Skiing opportunities for people with disabilities, their families and friends. In order for the 2018-2019 TRAS Ski Program to continue our long history of quality adaptive ski programming, we need your help. TRAS is a totally volunteer organization which relies on the time and talents of many volunteers to make our ski program a success. This year is no different! TRAS is asking you to consider joining us as a skiing or non-skiing volunteer this winter. We can’t do it without volunteers on and off the slopes. Volunteers MUST follow the Registration Process for each day of skiing as outlined below. 1. Each Adaptive Skier MUST complete a Skier Information Form; ONE TIME ONLY. 2. Each Adaptive Skier MUST complete a Waiver Form; Turn in at the event. 3. Each Adaptive Skier MUST follow the Registration Process for EACH day of skiing. *Skiers with their own pass/lift ticket will receive a $20 discount off the above fees. TRAS provides lift tickets, adaptive ski equipment, helmet and instruction/ski buddy.